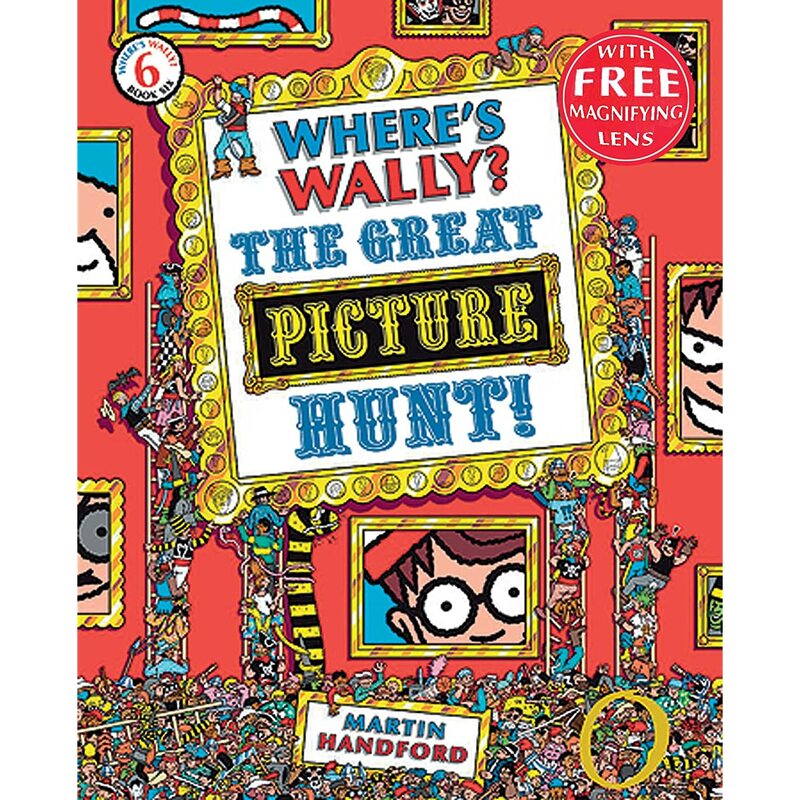 Children love the Where's Wally book series which has highly illustrated pages featuring a character called Wally. The idea is (I believe) that children are supposed to have "fun" finding Wally amongst the crowded scenes. However, from an adult perspective, this book series is not "fun" at all. It is truly mind numbingly boring. Indeed, many a time whilst reading a Where's Wally book have I wanted to shoot myself in the head. Unfortunately (or fortunately) as I live in the UK I don't have access to a gun. I pity those poor parents who live in the US whose temptation to shoot themselves in the head whilst reading Where's Wally must be very real and tangible. Anyway, on my boredom scale for children's book (and I've read a lot) Where's Wally is a top rated performer. It was even more boring than Thomas the Tank Engine during which I at least got to make the peep-peep noises. Needless to say, I am so glad my kids are now reading joined up writing. It makes my heart leap with joy knowing I'll never to read (or should that be "look") at another Where's Wally book. 1) It would take days, possibly years, to locate Wally on Mr T as he over six foot tall. In my youth this might have constituted "fun." However, those were the days before I wore glasses for close up reading - these days I could spend about sixth months looking for Mr T's Wally and still not find it. Besides, experience has taught me that glasses don't make anything look good, especially a Wally. 2) I fear there would not actually be any Wally onesies big enough for Mr T; the leg and arm openings would probably be half way up his limbs. Thus, when I did eventually find Mr T's Wally and we wanted to celebrate we would have to take a trip down to casualty which would probably dampen the celebrations. What's more, that's the kind of embarrassing situation that junior doctors photograph so that when they become consultants they can put them on slide shows to illustrate to their students what horrific injuries they've had to deal with: I do not think Mr T would take too kindly to being immortalized in medical history. Where's your cutey Wally my little baby waby? Mummy can't find the teeny-weeny fellow. Shall we play air planes instead? Now you open your mouth wide and mumsy-pumsy will fly this lovely- wuverly broccoli smoothie right into your mouthy-wouthy. So what, in effect, I'm saying is; I would sound like a idiot, Mr T would like an idiot and we probably both be locked away in a loony bin for safekeeping. So to sum up: No man should wear a onesie. Indeed no man, woman or beast should wear ever a onesie. Except perhaps David Cameron but that's only because it would look good with his dummy. Which is not Nick Clegg (although I know some of you are thinking that's what I'm thinking) as Nick Clegg is a very, very, nice man and it's not his fault his name rhymes with Egg. Cameron's dummy is obviously the one across the floor. Yeah, that's right. Milipede. Or whatever his name is. In the States it's called "Where's Waldo" and it's so deeply embedded in the pop lexicon that it's used for almost everything to describe nerdy/jerky/obtuse behavior. I'm kinda reassured you have this in the US as well, G. At least we Brits aren't alone in our idiocy!! My big (adult) kids love to come home and snuggle in a onesie. One each that is, not one between them. 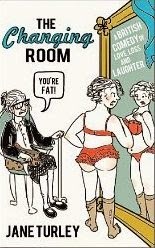 Although I fear because of my, ahem, statuesque, body shape I might need a twosie or even a threesie! I fear you do yourself an injustice, Anna, as I know you have lost a lot of weight:)) That said - a whole chapter devoted to your family's fondness for onesies in a sequel to Me and Mine would be most welcome! !